Please post your questions and any issues you have with the Fall 2012 pre-sales in this thread! I'm trying to prepare for the Wednesday presale for tix to the Dartmouth, NS show. The instructions suggest pre-registering with the ticket seller -- but the link to the ticket seller takes me to a corporate site for New Era. I can't see any spot on that site where I can set up an account. It doesn't even acknowledge the Dartmouth Sportsplex as a venue. Help! And thanks. I've had the exact same issue as Maggs, the online ticket vendor link simply takes you to a marketing page for the vendor, with no option to pre-register and no concert listings at all. Just got this reply from Tony via the help email address: It's a little early as we have not been given the confirmed ticket sellers yet, that should happen later today or tomorrow. Check back for updated links. You may not have to set up an account with the ticket buyer to purchase either. Check again on Tuesday when we should have all of the right links and the ticket sellers should have the shows created by then with all of the ticket details/prices. I'm waiting for the pre sale ticket for St John's NL. I can't seem to find it! Someone help me!! Will there be premium tickets for the Sarnia Show? It almost looks like this is general admission? The pre-sale begins on Wednesday at 10am local. There are more details posted by clicking the blue I icon on the tour page. 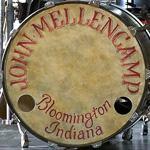 Step 1 - Register to become a member of the Mellencamp.com Community through the COMMUNITY page on Mellencamp.com. Step 2 - Consult the details of your show on the TOUR page to see the date and time of your pre-sale. Click on the blue info box on the grid for complete details. 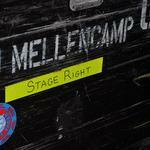 Step 3 - Return to Mellencamp.com the morning of your show's pre-sale and login to the website. Step 5 - Click the link under the column of tickets you want for your show from the TOUR page to go to the online ticket seller and enter the password where requested to gain access to the pre-sale and then complete your purchase. TIP: We suggest you click the pre-sale tickets link for your show and pre-register with the ticket seller JUST before our pre-sale begins to avoid any check out issues during your purchase. There is a 4 ticket limit per Community Member per show. Our pre-sale has a limited number of tickets and will likely sell out. Tickets are first come, first served and there are no guarantees that you will get a ticket through our pre-sale. Phew..I thought it was something I wasn't understanding...now I feel better..good luck everyone!!! What is the seating layout for the Sydney, NS show? Where will the people who get pre-sale tickets be sitting? Sooooo looking forward to this concert!!!! It should be a fairly standard end stage setup at that venue. We don't get access to the maps showing where the pre-sale seats are, but they should be throughout the venue, including the front 10 rows. We have a very small number of premium ticket packages available which you can read about on the TOUR page that are in the front 10 rows. For the Dartmouth show, on this website it says there are four ticket prices ranging from $49.50 to $125. On the Sportsplex site it just says $49.50 to $89.50. Is the price of $125 for the "package deal"? Are we going to be able to purchase this deal on the Ticket Pro website also? Has the price of the premium ticket package for Dartmouth been released yet?